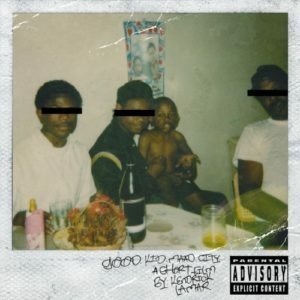 Kendrick Lamar’s “Good Kid, m.A.A.d. City” celebrated its five year anniversary on October 22nd. During the Rap Up we discussed how not only was this one of our most cherished albums, it also changed the way the audience was listening to the music. Not only was it critically acclaimed, but listeners like us could not get enough of it. We remember this album dominating our playlists for all of 2012 and even today. Classics like “Poetic Justice” and “Swimming Pools” solidified Kendrick as someone to watch in the years to come. For the first time, for us at least, this album pushed us to start listening to albums from the first track to the last. Listening to this album, in any other order, would rid it of its storytelling purpose. We discussed how influential that was to rappers who dropped albums after Kendrick as they even started dropping storytelling albums. Tory Lanez followed a similar tone with his album drop “I Told You”, which also told a story and has skits from beginning to end. In summary, we concluded Kendrick is one of the best to do it, and this album definitely started his era of influence in Hip Hop. As another year comes to an end we wanted to look back at what our favourite albums of the year are. Dj Bhav the Sav thought the top album of the year came down to Lil Uzi’s ‘Love is Rage 2′ for being different and Jay-Z’s ‘4:44’ for its lyrical content and for his maturity as a person and artist. Dj Bimma argued that mumble rap dominated the rap game this year and ultimately the album of the year came down to Migos’s ‘Culture‘. Dj Brotha Ace stated that album of the year came down to Jay-Z’s 4:44 for having that classic Jay-Z flow and for its political content and Kendrick Lamar’s ‘DAMN’ for its smooth beats and thought provoking bars. Some honourable mentions include ISSA Album by 21 Savage, Cozy Tape 2 by ASAP Mob, and More Life by Drake. We can only hope as the year comes to an end that 2018 will be able to match or surpass 2017 especially with artists such as Travis Scott and Chance the Rapper all expected to drop projects this coming year. Lil B getting jumped by A Boogie Wit Da Hoodie is the biggest news of the week so far. A Boogie was clearly hurt about shots that Lil B threw over twitter at New York rappers, calling them all uninspired. So he decided to take his entourage, including rapper PnB Rock, backstage at the Rolling Loud music festival. Lil B being the lovable rapper he is, came out on stage and explained the situation and later went on to Twitter to say that it was still all love for A Boogie. They seemed to have squashed this short lived beef with Lil B tweeting they had a phone call and made up. Not so honourable mention goes on to PnB Rock as after this happened, Rolling Loud cancelled his set and replaced him with Kreayshawn; famous for her song Gucci Gucci, which we are very sure hasn’t had play anywhere after 2011. So a shout out to PnB for proving that karma is real.